Nutrition services for the staff and students are being carried out in the Central Cafeteria. Our central cafeteria has a kitchen and a buttery, designed with modern appliances, equipped with the latest products of technology. The dietician keeps all kinds of hygiene rules during the stages until the service is prepared and cooked and kept untouched. Lunch is provided in four four courses for the staff and the students. In our university, successful and low income students are given free lunch. 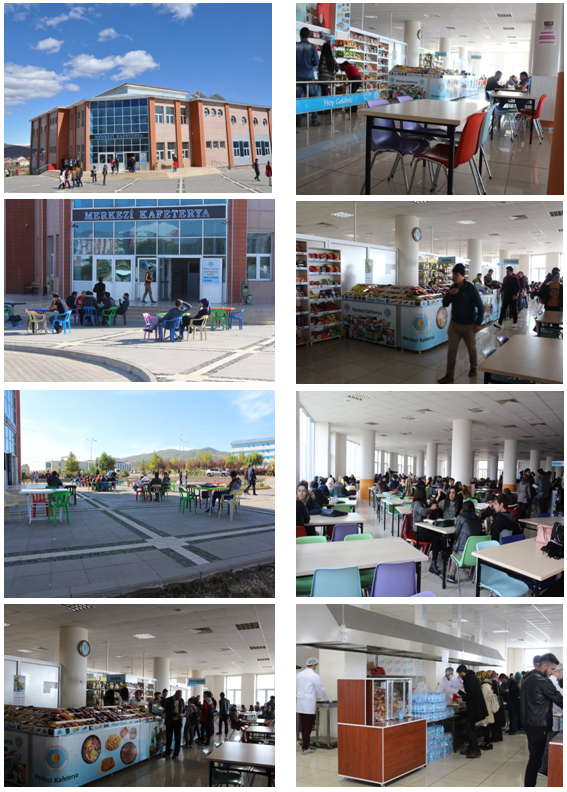 Grilled meatballs, rolls, hamburgers, toasts, sandwiches, pretzels, poğaça, all kinds of soft drinks, ayran, coffee, tea, aroma are served in the student canteen on the 2nd floor of the Central Cafeteria. 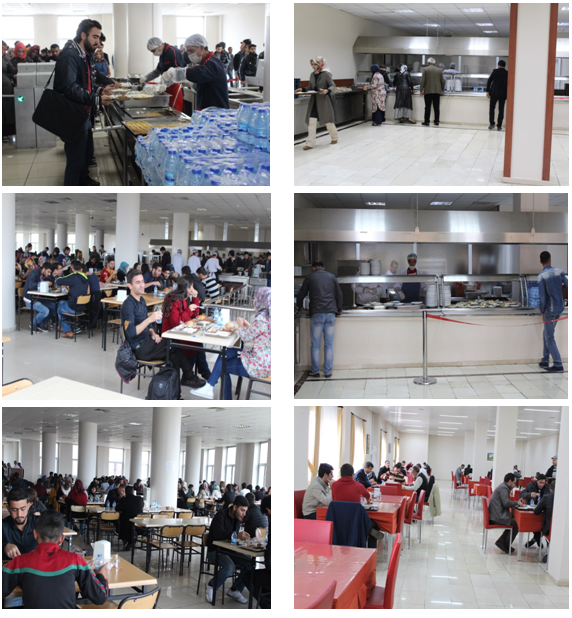 In addition to the central canteen, which provides continuous service to our students on campus, there is a student canteen in every faculty and vocational high school.